The Bond 25 sequence to be filmed in Norway will be part of the film’s pre-titles sequence, Baz Bamigboye of the Daily Mail, wrote in a short item Thursday night that was part of his weekly column. 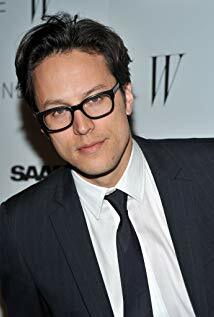 Director Cary Fukunaga “and a small crew” will be part of the shoot at a frozen lake, according to item. The crew wants to complete the sequence before the lake thaws, the scribe said. Bamigboye has a record of Bond scoops ultimately being proven as correct. Bamigboye also wrote that Danny Boyle, Bond 25’s original director, “had wanted to film an iced-over lake in Canada.” Boyle departed the project in August over “creative differences.” That led to the hiring of Fukunaga. The short item also says Bond 25 will also be filmed in Jamaica. Bond creator Ian Fleming wrote the first drafts of his 007 novels in Jamaica in the winter before returning to London to rewrite and revise. The first 007 film, 1962’s Dr. No, was filmed in Jamaica, where the novel was set. (UPDATE, March 8): Variety has a story about Bond 25’s planned Italian shoot and says that sequence will be the film’s pre-titles sequence. Well, we shall see what we shall see.